​Is conveniently located on the historic cobblestone streets of downtownNew Bedford MA. We also showcase the work of select Artists during specific months on our "Guest Wall"
Emmanuel "Manny" Escobar graduated from the Alice S. Pfaelzer Conservatory at Merit School of Music, where he was given the Ambassadors Award and the John Philip Sousa Award for musical excellence. Continued his professional studies at the Chicago College of Performing Arts, and Berklee College of Music in Boston. Grammy nominated Escobar has performed with Grammy winners; Wayne Wallace, Percy Bady, Wynton Marsalis, Esperanza Spaulding, Joe Lovano. As well as President Bill Clinton, James Moody, Reggie Workman, Mayra Andrade and the Cesaria Evora Orchestra. Manny Escobar’s music is an eclectic blend of straight ahead jazz, soul, and contemporary classics. In honor of black history month: A group show of local, young, up-and-coming Artists who’s works reflect aspects, concepts and concerns of the African Diaspora. “Providing space and opportunities for storytellers to communicate the human experience through visual art is a crucial part of my curatorial practice. Selecting local artists from the vast pool of New Bedford talent is the most challenging part of the job. That being said, showcasing Alison Wells' bright, multilayered, and robust artworks was an obvious choice. 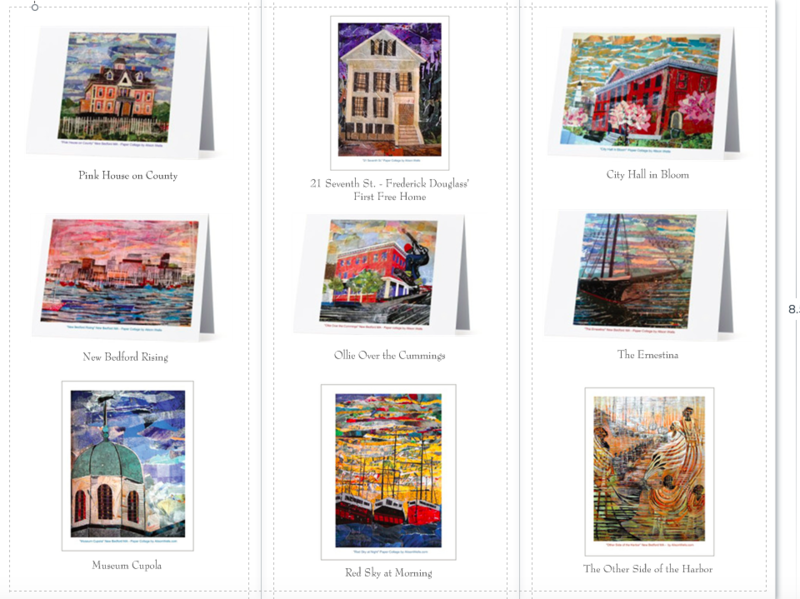 Wells has been a working artist in New Bedford for over a decade; she has made work about the city's abolitionist and architectural history. Wells is also an active member of the local art community operating out of her downtown gallery. Handwritten note cards are powerful ways to send a message to a client or customer to say Thank You for doing business with your company. It is also a special way to say I'm thinking of you to loved ones.